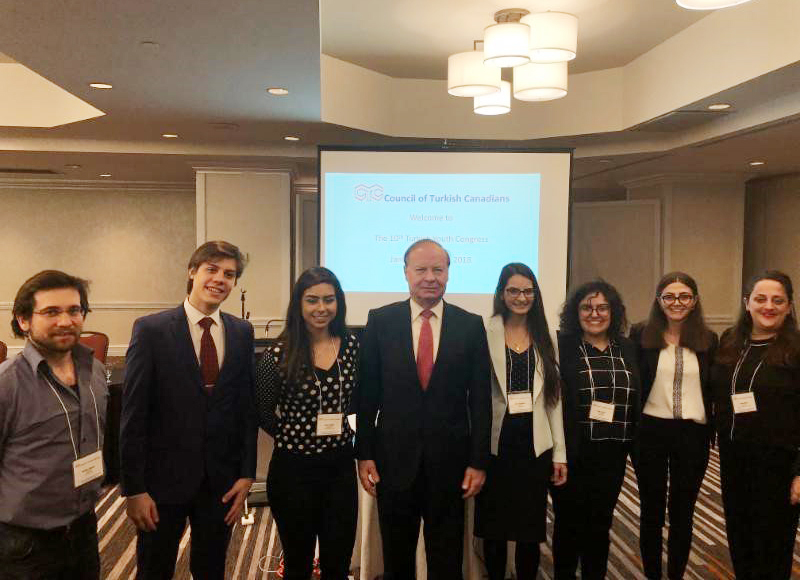 The Turkish Coalition of America (TCA) participated in the Council of Turkish Canadians’ (CTC) 10th Annual Turkish-Canadian Youth Congress in Montréal, Quebec, Canada, January 12-14, 2018. 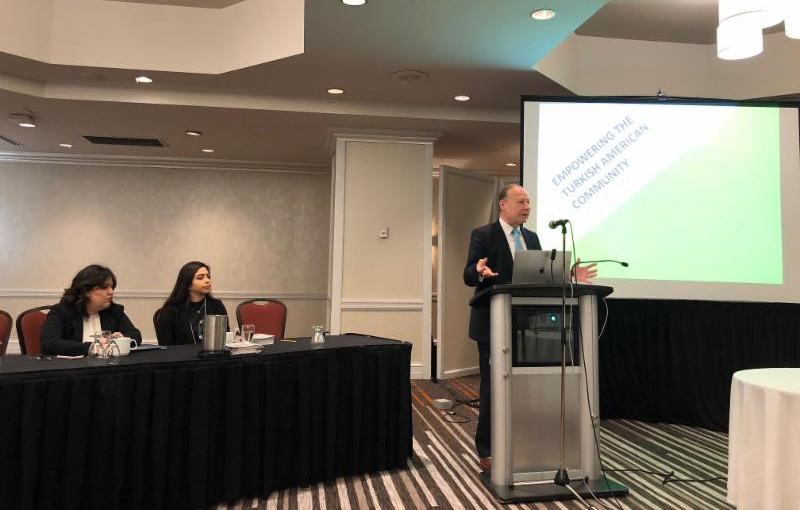 TCA sponsored the travel and CTC sponsored the accommodation and conference participation for the Turkish American participants, who also presented at the conference. Sessions were held on the establishment of the Turkish Republic, the dilemmas of the Lausanne Conference, the relevance of Ataturk’s principles to youth today, political activism and Turkish American empowerment activities. Keynote speakers were His Worship Jamie Nicholls, the Mayor of Hudson, a municipality outside of Montréal, and a former Member of Parliament; Hon. Deniz Barkan Umruk, the Consul General of the newly established Turkish mission in Montréal; Zahide Sezerman, CTC President; Kaya Boztepe, CEO of Planet Green NY; Sean McMeekin, Professor of History, Bard College, NY; Preston Hughes, History & Political Science Department, Dixie State University, Utah; Bruce Clark, British journalist and writer (by video); and G. Lincoln McCurdy, TCA President. Ipek Duman is a sophomore at the University of Oklahoma. Originally from Iskenderun, she lives in Tulsa, Oklahoma. She is the President of the Turkish Student Association at her university. She participated in TCA’s 4th Annual Turkish American Youth Leadership Congress in Washington, D.C., in 2017. Pinar Gezgec is a senior at University of Maryland, College Park studying History with a concentration in the Middle East. She is the creator and president of the Turkish Student Organization on her campus. Pinar previously interned at TCA and participated in TCA’s 3rd Annual Turkish American Youth Leadership Congress in Washington, D.C., in 2016.